Click here for larger picture. Place Value Board shown with Number Flips. 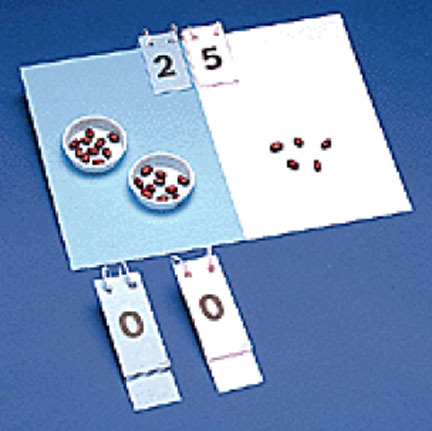 The blue and white place value boards are used with measurement, calendar, and place value activities. Students count, add, and subtract concrete materials (such as beans or Unifix cubes) on the place value board. There are 16 place value boards per set.